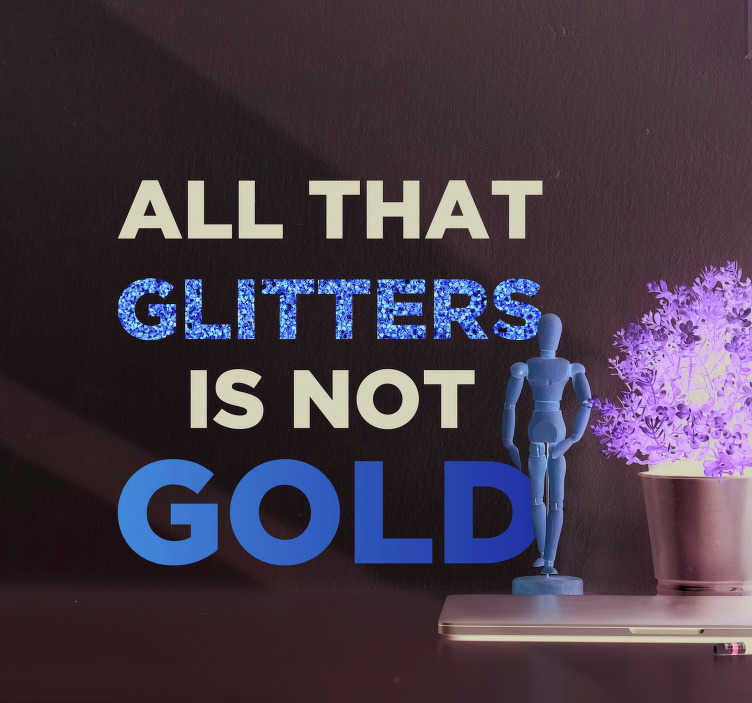 All that glitters is not gold! The multiple layers to this quote are what truly makes this wall text sticker something really great! The most common interpretation is that the attractive appearance of something does not always reliably indicate its true nature, however this quote sticker can be interpreted however you like, depending on who you are!